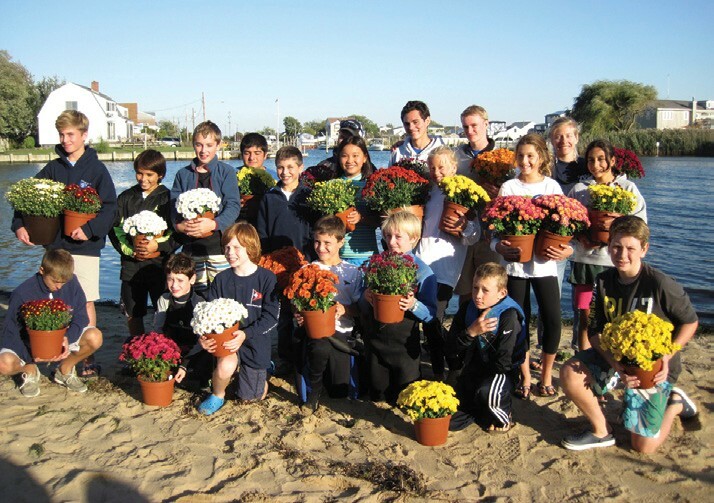 The Dinghy Shop in Amityville, NY hosted their annual Mumm Regatta on Sunday, October 5, 2014. The regatta was part of the Dinghy Shop’s Fall Opti Series XVII. Each participant received a potted chrysanthemum to bring home to Mom. Started in 1997 by Dinghy Shop owner Jim Koehler, the Fall Series is the largest consecutive junior sailing series in the U.S. Learn more about the Dinghy Shop’s programs at dinghyshop.com.